I am getting tired of the bunch of confetti browns. 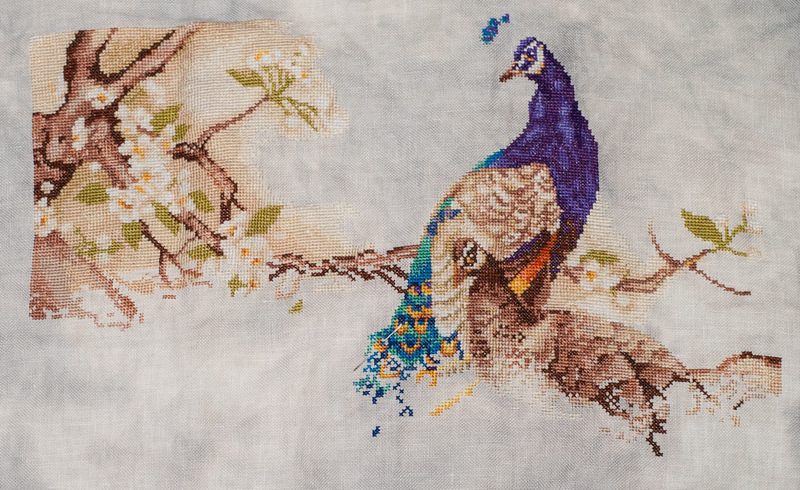 Yes, the peahen's looking realistic, but it's just boring and tedious. Maybe I'll work on another bit next time.